I know this may seem a little odd to share at this time of year. And I promise I have all kinds of “fall” foods waiting and ready to share, but then I decided that everyone, all year long, ends up with those over ripe brown bananas sitting on their counter. There are a million things to do with those bananas like: Caramelized Banana Pudding, Banana Chips, Banana Pops, Dark Chocolate Banana Muffins, Strawberry Banana Frozen Smoothie, Banana Cream Pie, or of course Banana Nut Spice Cake, just to name a few. 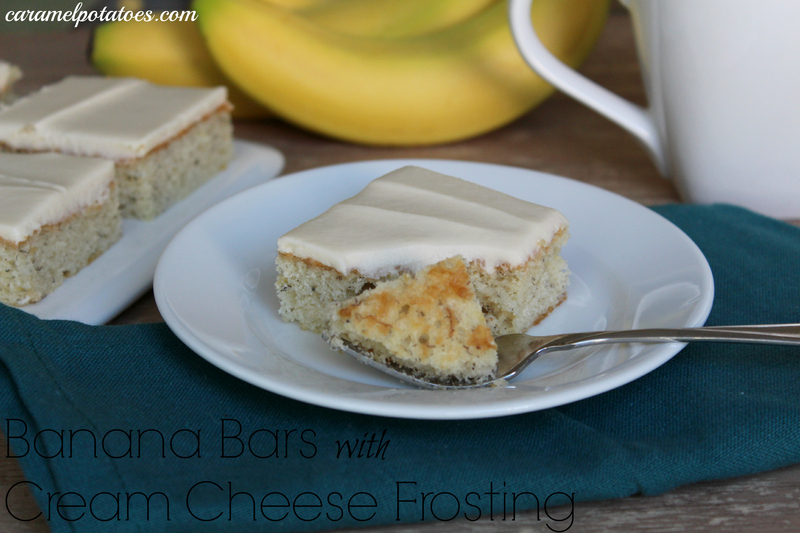 But who doesn’t love a little banana bar topped with cream cheese frosting? 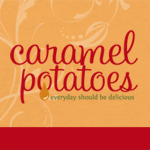 Here is a little secret about this recipe. It only uses 2 bananas, yes I said 2 bananas for an entire sheet pan on banana bars and then they are covered in delicious cream cheese frosting. So even the non-banana lover may just fall in love with these Banana Bars with Cream Cheese Frosting. In a large bowl, cream butter and sugar until light and fluffy. Add the eggs, sour cream and vanilla. Combine the flour, baking soda and salt; gradually add to the creamed mixture. Stir in bananas. Spread into a greased 15-in. x 10-in. x 1-in. baking pan. Bake at 350° for 20-25 minutes or until a toothpick inserted near the center comes out clean (do not overbake). Cool. For frosting, in a large bowl, beat the cream cheese, butter and vanilla until fluffy. Gradually beat in enough confectioners’ sugar to achieve desired consistency. Frost bars. Store in the refrigerator.